NCTIES is excited to announce our 2019 Fall Leadership Retreat! Join us for an exciting day of networking, leadership skill development, and, of course, connections to digital learning throughout! Reserve your spot now during conference registration. Only 175 spots are available! 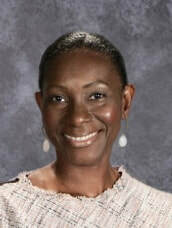 Onica L. Mayers is the #LeadLearner, also known as the principal at Kirk Elementary in Houston, TX. Currently serving in her sixth year of principalship, she is humbled to be recognized as the 2018 Elementary Principal of the Year for her district. She believes that being a servant leader means that you must #BeTheModel – always. She has spent her 20-year career in education preparing students to be the champions of the twenty-first century and encouraging lifelong learning for both adults and children. Onica’s transformational leadership, inspired by her participation in the Houston Transformational School Leadership Consortium, led to her campus being an early-adopter blended learning campus in her district. She welcomes visitors from across the state and internationally to gain insight into a blended learning approach to teaching and learning. She has been featured on the Kids Deserve It Show Episode 93 and the CFISD Virtual Tech-A Thon on supporting a Blended Learning campus. This summer she co-authored Education Write Now, Volume II with Jeff Zoul et al., and acquired her NAESP Principal Coach certification.